My Takeaways From Yesterday’s 2016 Republican Party Nomination Debates and other Observations. 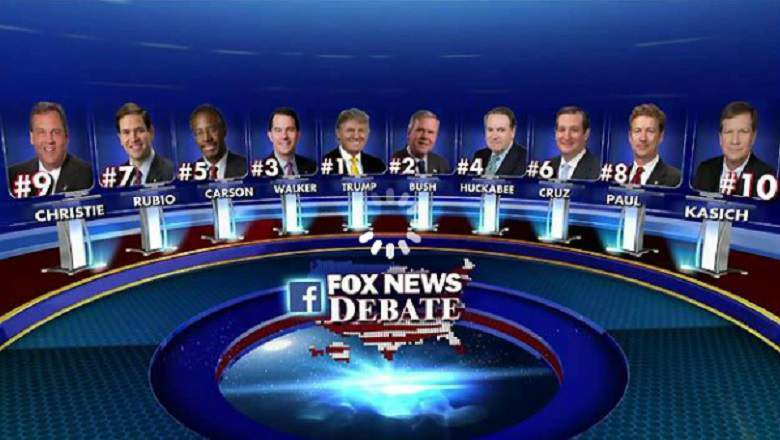 My takeaways from the Republican Party debates yesterday are many but the ones that stand out are one, Republicans are doomed with Donald Trump regardless of how this Republican nomination drama ends; if he’s the nominee, he will be floored come next November by whoever the Democratic nominee is. If Trump is not the nominee, he’ll either run as an independent as he has been threatening but unlike others who say this will guarantee Democrats victory, I say this will simply guarantee Democrats a landslide victory for every indication is Democrats will win the presidency regardless of who the Republicans nominate. We know Mr. Trump’s ego would not allow him to endorse anyone if he’s not nominated so the best Republicans can hope for is him not endorsing anyone and simply fades away if he crashes and burns like others in his position have in the past, which means the herd following him will either hold their noses and vote for the nominee they’re likely to loath or simply stay at home to the benefit of Democrats. My second takeaway from the Republican debates is Carly Fiorina did win the earlier debate or so the called “Kid’s Table” debate but in her closing remarks, she reduced herself to an applicant for attack dog position (read VP) evinced by her viciously attacking Hillary Clinton using language the angry anti-everything Tea Party types in the Republican Party love but will not do anything to endear herself to independents who prefer substance to empty rhetoric and name calling. The third takeaway is how the often overrated Megyn Kelly of Fox News aka the Media Wing of the Republican Party under-performed as host; from the get go, she couldn’t hold herself back in giddiness over Carly Fiorina noting how the leading contenders must have been pleased Fiorina and obviously her preferred candidate was not on the stage with them; that was inappropriate, unnecessary and awkward for a moderator. It was good, however, and somewhat amusing seeing how fellow Republicans and Trump supporters in particular in social media were vilifying her for her viciousness–something many of us have known and been saying for a long time. My fourth takeaway is my fellow Adventist brother Dr. Ben Carson looked lost for much of the debate but redeemed himself with what’s likely to be a memorable closing statement of the season if not in modern times. His response to the question on race relations was also right on. However, even those who support him as a candidate (I don’t) must admit some of the things he says and believes are way out there and as I tell my friends, thanks to the Big Fat Idiot Rush Limbaugh who I have no doubt Dr. Carson as had a good doze of his nonsense which therefore explains his warped logic in some of the things he says despite his obviously sharp brains. My fifth takeaway is Governor Kasich did himself good and may actually be a more formidable candidate v Hillary but he first must get past the angry anti-everything bunch who will nominate and going by their litmus test, Kasich has no chance of their even considering him; he’s polite, compassionate, conciliatory and willing to compromise which are all sins in the minds of the Republican base as informed and incited and by the Rush Limbaughs, the Hannitys and Fox News. My sixth takeaway on these debates is despite his best effort to shake the boy/child look and be more presidential, Marco Rubio still remains a Tea Party creation with not much appeal beyond that base, which is interesting because you would think as Cuban American, he would be faring better but leaving aside the fact he has done nothing to excite immigrants, especially the Hispanic community, what he said about abortion ensures most women will never vote for him; Republican women, yes but everyone else especially the all-important independents, forget it. Ditto for Scott Walker, which is my seventh take-away. My eighth takeaway is Ted Cruz neither excelled nor bombed but he still remains to be a very intelligent moron who’s hoping Donald Trump crashes and burns so he can inherit his voters–good luck with that. My ninth takeaway is if I have not mentioned any of the candidates, take it from me they will not be nominated so not worth even a moment of my time. Last but not least, though, Jeb Bush was the loser to the extent he did not extricate himself from the unfamiliar territory of reality TV corner where Trump has everyone piled in and trying to figure their way out. All this to say it must be a good day and times in Democratic land–if only they can lie low and not rock the boat as they sail straight to White House to take over from a fellow Democrat come January 2017.